What have we learned from last week’s Israeli legislative elections? A whole lot. To start with, don’t let references such as the “tight race” between Israeli Prime Minister Benjamin Netanyahu and his main rival, Benny Gantz, fool you. Yes, Israelis are divided on some issues that are particular to their social and economic makeup. But they are also resolutely unified around the issue that should concern us most: The continued subjugation of the Palestinian people. Indeed, tight race or not, Israel has voted to cement apartheid, support the annexation of the occupied West Bank, and continue the Gaza siege. In the aftermath of the elections, Netanyahu emerged even more powerful. His Likud party wonthe elections with 36 seats, followed by Gantz’s Blue and White alliance with 35. Gantz, the rising star in Israeli politics, was branded throughout the campaign as a centrist politician: A designation that tossed a lifeline to the vanquishedIsraeli “left” — of which not much remains. This branding helped sustain a short-lived illusion that there is an Israeli alternative to Netanyahu's extremist right-wing camp. But there was never any evidence to suggest that Gantz would have been any better as far as ending the Israeli occupation, dismantling the apartheid regime and parting ways with the country’s predominantly racist discourse. In fact, the opposite is true. Gantz has repeatedly criticized Netanyahu for supposedly being too soft on Gaza, promising to rain yet more death and destruction on a region that, according to the UN, could be unlivable by 2020. In today’s Israel, military occupation and apartheid have been internalized and normalized as uncontested realities. It apparently mattered little to Israeli centrists and the remnants of the left that, in the 2014 Israeli war on Gaza, more than 2,200 Palestinians were killedand over 11,000 were injured. In that most tragic war, more than 500 Palestinian children were killed, and much of Gaza’s already ailing infrastructure was destroyed. But, then again, why vote for Gantz when Netanyahu and his right-wing extremist camp are getting the job done? Sadly, Netanyahu’s future coalition is likely to be even more extreme than the previous one. Moreover, thanks to potential new alliances, Netanyahu will most likely free himselfof burdensome allies, including former Defense Minister Avigdor Lieberman, ex-Education Minister Naftali Bennett and former Justice Minister Ayelet Shaked. 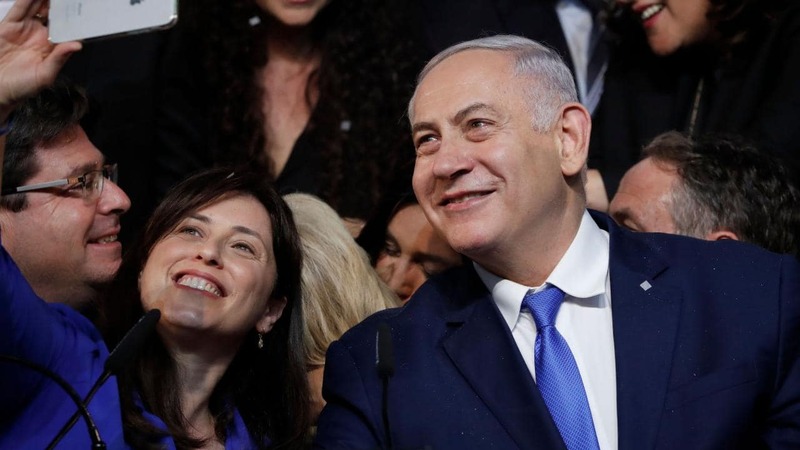 All the grandstanding from Bennett and Shaked, who recently established a new party called “The New Right,” didn’t even garner them enough votes to reach the threshold required to win a single seat in the Israeli Parliament, the Knesset. They needed 3.25 percent of the vote, but only achieved 3.22 percent. They are both out. The defeat of the infamous duo is quite revealing: The symbols of Israel’s extreme right no longer meet the expectations of Israel’s extremist constituencies. Now the stage is wide open for the ultra-orthodox parties— Shas, which has eight seats, and United Torah Judaism with seven — to help define the new normal in Israel. The Israeli left, if it was ever deserving of the name, received a final blow: The once-prominent Labor Party won merely six seats. Meanwhile, Arab parties that ran in the 2015 elections under the united banner of the “Joint List,” fragmented once more to collectively achieve only 10 seats. Their loss of three seats compared to the previous election can be partly blamed on factional and personal agendas. But that is hardly enough to explain the massive drop in Arab voter participation in the elections: 48 percent compared to 68 percent in 2015. This record low participation can only be explained through the racist “nation-state law,” which was passedby the right wing-dominated Knesset last July. The new Basic Law declaredIsrael as the “nation state of the Jewish people” everywhere, relegating the rights of the Palestinian people, their history, culture and language, while elevating everything Jewish, making self-determination in the state an exclusive right for Jews only. This trend is likely to continue, as Israel’s political institutions no longer offer even a symbolic nod toward true democracy and fair representation. But perhaps the most important lesson that we can learn in the aftermath of these elections is that, in today’s Israel, military occupation and apartheid have been internalized and normalized as uncontested realities, unworthy of national debate. This, in particular, should summon our immediate attention. During their election campaigns, no major party spoke about peace, let alone provided a comprehensive vision for achieving it. No leading politician called for the dismantling of the illegal Jewish settlements that have been erected on Palestinian land in violation of international law. More importantly and tellingly, no one spoke of a two-state solution. As far as Israelis are concerned, the two-state solution is dead. While this is also true for many Palestinians, the Israeli alternative is hardly co-existence in one democratic secular state. The Israeli alternative is apartheid. Netanyahu and his future government coalition of like-minded extremists are now armed with an unmistakably popular mandate to fulfill all of their electoral promises, including the annexation of the West Bank settlements. Moreover, with an emboldened and empowered right-wing coalition, we are also likely to witness a major escalation in violence against Gaza this summer. Considering all of this, we must understand that Israel’s illegal policies in Palestine will not be challenged from within Israeli society. Challenging and ending the Israeli occupation and dismantling apartheid can only happen through internal Palestinian resistance and external pressure, which is centered around the strategy of Boycott, Divestment and Sanctions (BDS).